Masters of the Kite. April 28th. 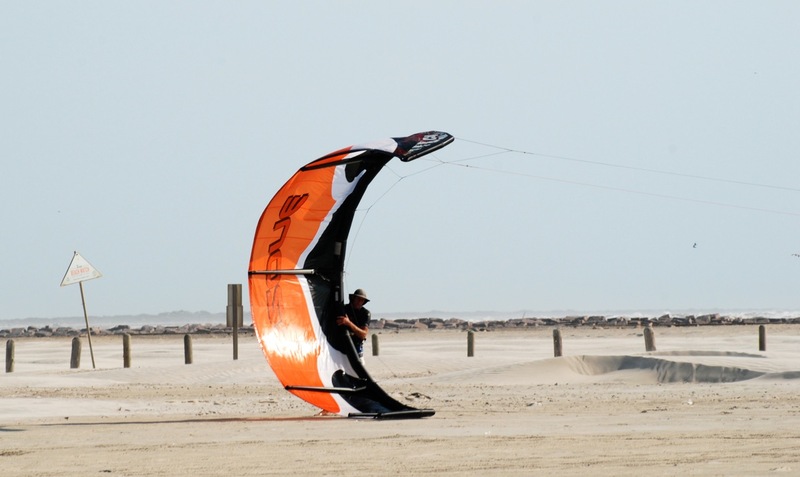 Kitesurfing vs. Kiteboarding. What’s the difference? Depends on who you ask but, these guys do it all. One moment they’re doing aerials past the 3rd sandbar, the next moment a guy comes ripping by you in 6 inches of water stopping only long enough to switch out “foot wear”. A squared off board with straps is slung off and a pint sized surfboard is snatched from a pile of sargassum while never loosening a grip on the reins. And how you keep your feet in contact with the surfboard while a wing as big as a car takes you on a 30 mph ride across the chop is … a mystery. This entry was posted on April 29, 2011 by Jen's Marinedream. It was filed under Uncategorized .